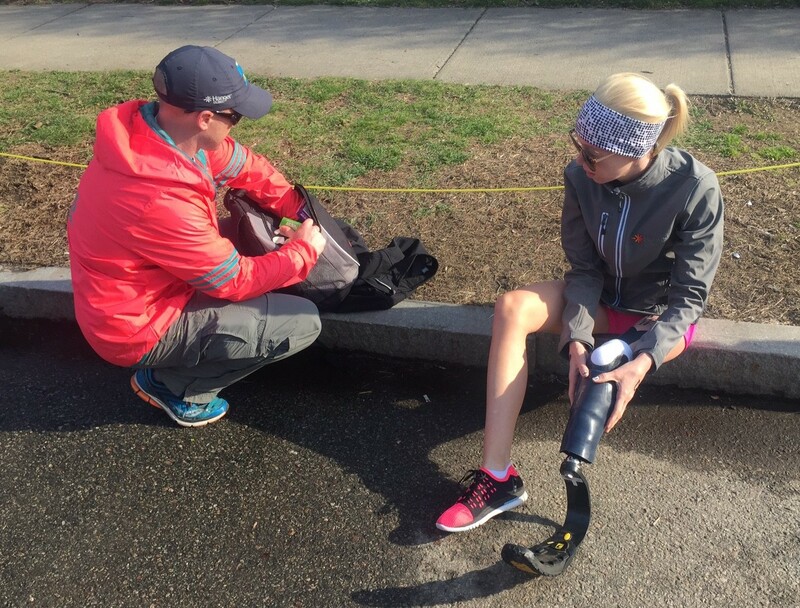 Boston, Mass., April 19, 2016 – On Monday, Hanger Clinic patient Adrianne Haslet crossed the finish line at the Boston Marathon, three years after the bombings that resulted in the amputation of her left leg below-the-knee. Haslet ran the race to support Limbs for Life, a non-profit organization that helps provide prosthetic care to individuals who cannot otherwise afford it. 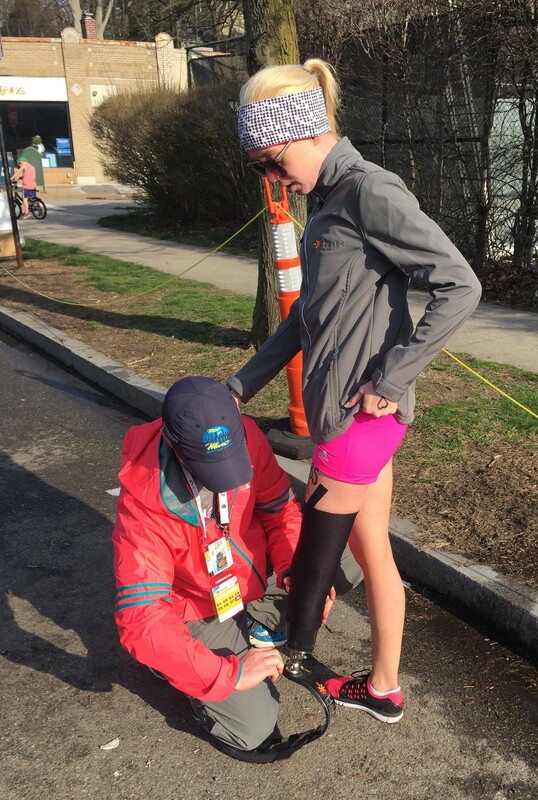 During the 26.2-mile race, Haslet was supported by a Hanger Clinic team that included Boston-based Hanger Clinic Area Clinic Manager Brian Heckathorn, CPO, and Woburn, Massachusetts-based Hanger Clinic Manager Jayne Drummey, CPO. Haslet was able to receive needed prosthetic adjustments at medical stations along the course to enable her to keep running. Haslet spoke about the support she received on her Instagram account: https://www.instagram.com/p/BEbsKMZqCpF/?taken-by=adriannehaslet&hl=en. About Hanger Clinic: Founded in 1861 by the first amputee of the Civil War, Hanger Clinic, a business unit of Hanger, Inc., owns and operates 750+ patient care clinics nationwide, including seven in Massachusetts. The certified clinicians of Hanger provide patients with the latest in orthotic and prosthetic solutions, including microprocessor devices for those with limb loss and neuromuscular technologies for those with paralysis due to stroke, MS and other debilitating conditions. For more information on Hanger, visit www.Hanger.com, and for more information on Hanger Clinic, visit www.HangerClinic.com.